Because no-body wants to face this! 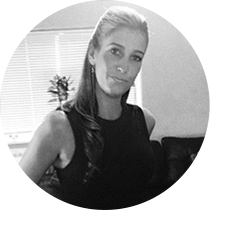 Knutsford Cleaning Services was established by Rachel Saunders and began life in 2007 as a small family run business. Rachel stepped in to help busy friends with all those jobs they wanted to forget about at the weekend. Returning home from work to a sparkling house and the dreaded pile of ironing gone, made for some very happy friends and some great recommendations. Several years later and Knutsford Cleaning Services has become a fully-fledged business. Rachel and her team are passionate about making your life easier and care about quality of service, ensuring that they do the best job for whatever your needs are, be it a regular standard clean or a one off pre-party clean. In all, Knutsford Cleaning Services understand that letting somebody into your home is a big decision. The team are vetted before they are employed so that you can expect the best service with peace of mind. Take a peek at the testimonials section to see this for yourself. Do you use my cleaning products and equipment? It depends; usually customers use their own products as these are based on their own preference/ allergies etc. But of course, if you would prefer not to, Knutsford Cleaning Services are happy to use their own. Who will be doing my cleaning? Do I need to be in when the cleaner comes? It’s up to you, you don’t need to be there but some Customers prefer to be in (more for a cup of tea and a catch up if nothing else). Mostly, our customers prefer to be out and leave us a key. We’ve tried various cleaners and housekeepers in the past and hadn’t been entirely satisfied. Rachel came on high recommendation and we’re so glad we tried her. We completely trust her in our home and find her to be conscientious and discreet. She’s such a hard worker and works quickly and efficiently. She's always thorough, paying close attention to detail and taking careful care of our items. She’s nice to have around too as she has such a positive attitude and is friendly, smiley and professional. We’d certainly recommend her as a cleaner / home help but have no doubt that she could do pretty much anything! Rachel has cleaned for me for nearly 2 years. She is always hard working, reliable, professional and a pleasure to have around the house. I would not hesitate to recommend her to others and have done so. Rachel has been a great find. Great cleaner, very trustworthy and has become a good friend over the past 7 years. 6 years ago I had quite frankly given up on the cleaning world. I had tried independent cleaners who lasted a wet weekend and I had also secured the services of a cleaning agency that sent a different cleaning crew each week all of whom seemed to have liberal access to my keys and house. Nothing worked and I had almost resigned myself to complete defeat on the domestic front when…..along came Rachel. Recommended to me by a friend, Rachel made home life run smoothly. There’s nothing better than to come home to a clean, tidy and fresh house which was always a weight off my mind. If I ever needed anything extra doing, I would simply leave a note and it would be done. Trust and honesty were never brought in to question and I always happily left Rachel to her own devices with a key to my house. Even my kids think the world of her. Had my requirements not changed to incorporate childcare as well as house-keeping, Rachel would still be with us today. I recommend her highly to anyone considering her services. It’s well worth it! Rachel is trust worthy, reliable, hard working and always a pleasure to have in our home. Rachel has provided me with domestic cleaning services for approximately 2 years. During that time I have found her to be friendly, reliable and trustworthy. She does a very thorough job and I would certainly recommend her to anyone who is considering employing her. Get in touch to find out more 07754 907238!